Creating an iPhone video chat app isn’t rocket science, but there are a lot of intricacies to account for. This tutorial covers the entire purpose of developing such an app from start to finish. It is quite long, so you might want to bookmark it so you can revisit it later. The end result: The entire project can be downloaded here. You can browse if you want to figure it out for yourself, for those who are interested in a detailed walkthrough, read on. Video chat is one of the most popular forms of communication on mobile, and is for productivity apps as well as social networking. So how does one go about building such an app? The question is more of design than of technical implementation when many online services provide a lot of the infrastructure needed. 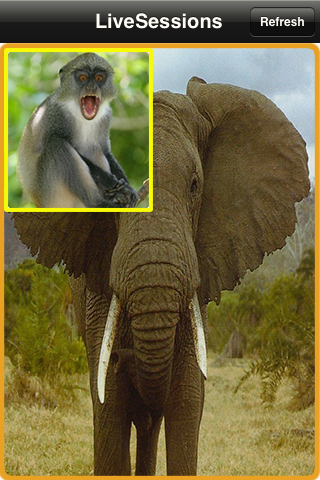 Yes, that is a monkey chatting with a mammoth. Which is basically what we would be doing communicating with the services composing our app. While the top video chat application use their own streaming servers, we will be using a cloud-based solution to handle that part of the equation. Opentok is the service that we’ll be using in this tutorial, and it provides a nice, easy-to-integrate SDK for adding video streaming capabilities to our app. While Opentok provides their iOS API and iOS SDK with two useful examples of iOS implementation (here and here), there is still one piece left: User management. Opentok provides nice platform for video chat, but between whom? Let’s take a deeper dive into how streaming actually works between users of services like Skype, MSN, and Yahoo video chat. A streaming server works on fundamentals of an Http web server: In a pretty raw representation, all it recognizes is request and response, without caring who sent it. An Http server does just that. It does not worry about states, userID, password or any such access token mechanism. In other words, session management is absent. The scenario changes when there arises a need to identify the user, authenticate him, and keep him authenticated during his entire browsing experience. A server needs to remember a user, and whatever other entities that come linked with him. These requirements become more stringent while developing a mobile software like iPhone video chat, where identities are quite crucial – they can make or break the authenticity of your app. In large web portals such as Yahoo.com or Amazon.com, dedicated authentication servers generate unique identity for users, and supply application servers with these goodies so that they can track the users until they log out. You probably know where this is going: To keep track of who wants to connect to whom in a more real-worldly way, like we do in Yahoo Messenger or Skype, we need another server that keeps track of users. User management is essential in any social networking app. It depends on you how much you want to do it – you can store big data including address, phone numbers, profile pics and the likes, or you can pick 3-4 fields of your choice to make it easier on the user. But the crux of the matter is you need to do it. Any software that relies on user interaction cannot do without it – and so is our iPhone video chat. To handle user management, we need a central server. To our great comfort, there are number of cloud solutions available again. For the purpose of this tutorial, I have chosen Parse.com because it boasts of 100k+ apps live, and is backed by Facebook. It claims easiest of the APIs, and those claims, as I have experienced, are right. What’s more, it’s cross platform, so if you plan to make Android or Windows mobile client for your video chat app, you are in safe hands. Tokbox provides a Broadcast tutorial which contains some of what we need for a fully featured chap app. The main difference is that we’re creating a two-way chat instead of a one-to-many broadcast system. I’ll also try to simplify the process so that even novice developers should be able to finish it without much trouble. My showcase app – Livesessions – requires some configuration on both Tokbox.com and Parse.com profiles – the server side. Parse.com needs your app, and so does Tokbox.com, although it names it a Project. Similarly, on Tokbox.com, once you login, go to dashboard and create new project, it will automatically create an API key and API secret. Note that these are your credential as a Tokbox developer, not a chat user. API key is more like your user ID and API secret is a password. There is one, crucial piece left to be done to finish the server side. As we discussed earlier, we need to connect our streaming application server (Tokbox.com) with authentication server (Parse.com). Unless this is done, streaming server has no way to know which user is calling whom because all it knows about is session ID. Our iPhone video chat user, on the other hand, only knows about his own user credentials supplied to him by Parse.com. To intercept logged in user’s request to chat (the caller). To convert it into Tokbox session ID, get the session ID and other necessary information (the token) from Tokbox. To send the caller and receiver (Parse.com users) the sessionID. Since both users now have a session ID and a token which is received from Parse.com, they can seamlessly communicate via Tokbox streaming server. The process of uploading (oops, deploying) cloud code on Parse.com is described in this source tutorial (Setting Up section) and here, and it is far better than I could explain here. So let’s skip it to maintain the scope. However for simplicity’s sake, I have included it step by step in readme.txt that comes within the code. I would still take a few moments to explain what this code does, and why. The iPhone app user initiates a call to another user. No, he does not make a phone call. Remember, it’s LiveSession app’s job to handle the entire call, just like Skype or Yahoo messenger does. What our iPhone app needs to do under the hood is fairly simple task: it is saving a row to ActiveSessions Parse table we just created. There, it stores caller user ID (callerID) and receiver user ID (receiverID) among other things. Since we must remember we are within beforeSave trigger, we already have the handle to the object being saved – ActiveSessions. By simply setting its respective members – we can save three distinct items to our Parse.com database: sessionID, publisherToken and subscriberToken – all three columns in ActiveSession table. Well – that’s for that. What? You are done with the back end of your first iPhone video chat app! Congratulations! But how? All we required for two user’s to connect via streaming server is a user id (session id) and a password (token) – and we have both. Now all we have to do is – avail them to iOS client via Parse.com. Not that it’s quite easy as 1-2-3, but the mammoth has bitten the dust already. 2) Handle Incoming Call – check Parse.com database for an incoming video call – described down the line. Let’s tackle each of them – one by one. But first and foremost, let’s setup the basic iOS project and go over what’s all needed. Open XCode, setup a single View application with default options. Name it LiveSessions. In storyboards, set up 2 scenes: One for users list – named LSViewController (derived from UIViewController), and another for hosting video chat view, LSStreamingViewController (again, subclass of UIViewController). 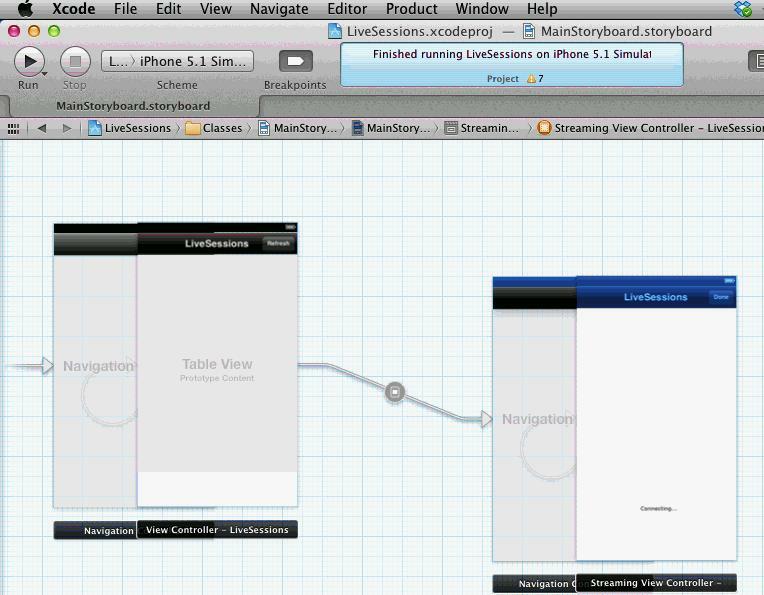 Next, add a UITableView object to LSViewController scene through storyboard. This table view must maintain a list of Parse.com users who log into LiveSession app any time. LSViewController will handle all the chores related to UITableView, nothing unusual. Do not forget to implement UITableViewDelegate and UITableViewDatasource protocols in LSViewController so as to handle table view related stuff. In addition to the above, we also need a helper class called ParseHelper which wraps our calls to Parse. All of its members and functions would be static. To use Parse and Opentok framework, we need to link them, as well as some of the required frameworks used by both of them. Parse framework can be obtained from here. Opentok SDK can be obtained from here. This link also explains at length what all you need to do in order to link Opentok framework successfully. (Notice the Opentok.bundle thing that come as part of Opentok sdk. 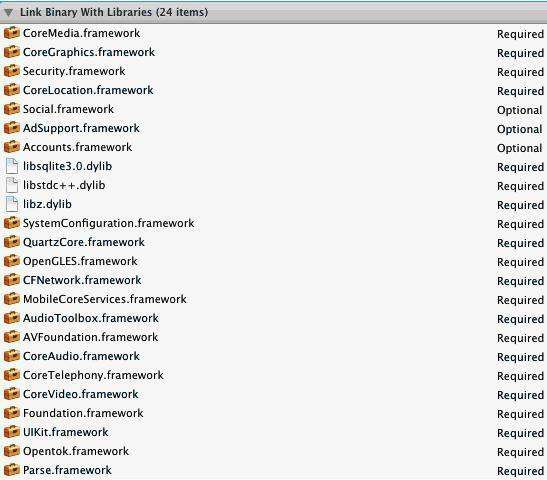 Also see three other libraries that go below it in order to link everything together). 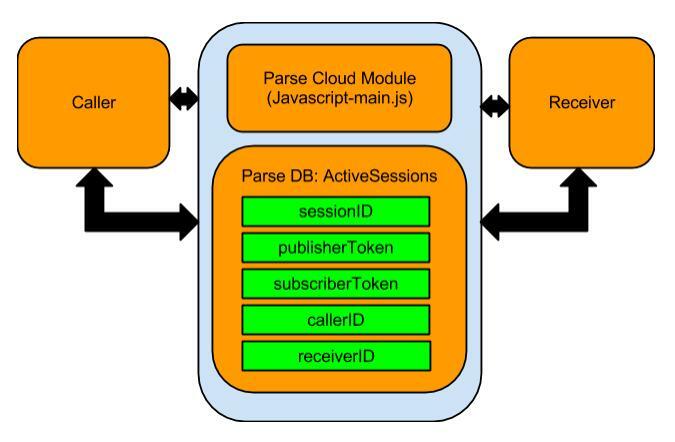 Parse.com acts as a mediator between caller, Opentok streaming engine and receiver. The first and foremost requirement is to generate sessionID, publisherToken and subscriberToken, so that both clients can seamlessly connect via Opentok once session is established. We already know the Parse.com cloud code does that. But how will LiveSessions app invoke the cloud code? The following code not only stores an ActiveSessions object to Parse, but also invokes cloud code (beforeSave trigger) we discussed above that generates sessionID, publisherToken and subscriberToken – and they are eventually stored into ActiveSessions table itself. //check if the recipient is either the caller or receiver in one of the activesessions. What this does is simple: when the app launches, check for the locally stored Parse user ([PFUser currentUser]), and if one does not exist, perform anonymous login, which will create a PFUser object on Parse.com Users table. What is important to us is loggedInUser static object that we use to store currently logged on user. At the end of successful login, showUserTitlePrompt function prompts the user to enter a title of his / her choice. //lets differe saving title till we have the location. //start polling for new call. Notice the part under tag kUIAlertViewTagUserName. This code tells LiveSessions that user is now fully logged in, along with an identification (title) of his / her choice. This title will be eventually stored into ActiveUsers table as userTitle, but with one more thing: user’s current location. Yes, LiveSessions is a location-aware app. And to obtain user’s location, ParseHelper.m posts a kLoggedInNotification notification to LSViewController. LSViewController has CLLocationManager code inside it which will track user’s current location. At the end, once we have everything, the entire user (his title, user ID and location) are saved into ActiveUsers table. //this will store finalized user location. //once done, it will save it in ActiveUsers row and then fetch nearer users to show in table. //discard if inaccurate, or if user hasn't moved much. //via kUserLocSavedNotification notification, to avoid multiple saves. The first unknown in above code so far is call to fireNearUsersQuery function,which serves front end. We will come to it later. The other unknown is saveUserWithLocationToParse function, which will fill the gaps left so far to complete the back end. It belongs to ParseHelper.m, and here it goes – there is nothing unusual about storing it, and it acts as our own little user repository. The generated user’s object ID is stored for later use inside activeUserObjectID. The code so far ensured a user is saved inside ActiveUsers table. 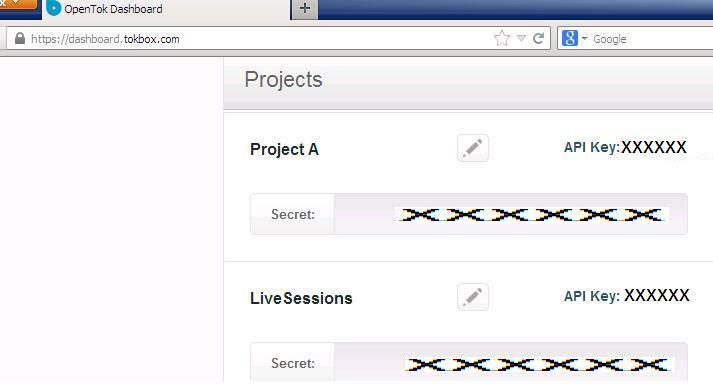 We also saw how he / she can initiate a video call to another user, by creating an ActiveSessions object. But whom does the user chat with? We must also present a list of users to logged on user to chat with – equivalent of Yahoo/Skype friend’s list. Sending friend requests through email or any other means would be quite an overkill for our tutorial’s scope. To keep things minimal, we don’t even ask our users to enter their email ID for registration. Instead, we have chosen a unique way to test out video chat feature: show list of users who are geographically within specified radii – say 200 miles. Parse.com already has PFGeopoint related query mechanism which makes our task easier. //this method polls for new users that gets added / removed from surrounding region. //argCoord - location around which to execute the search. //delete all existing rows,first from front end, then from data source. //if for this user, skip it. // meaningful placemark info and user's address can be shown in table view. Inside LSViewController, the m_userTableView gets populated from m_userArray. Each row in the table view has a green Call button. When you tap that button, call is initiated for that user as the receiver ID. What call? The code we just covered to store the session: saveSessionToParse. Who calls it? Well, now it’s time the video chat scene (LSStreamingViewController) takes charge. As a matter of its duty, LSStreamingViewController handles both outgoing and incoming calls. To differentiate the two, it uses receiver ID (self.callreceiverID): For outgoing calls, it has a value supplied from LSViewController (see the segue transition code). For incoming calls, there is no need for it so it is null or empty. In forthcoming section we will see how the above call makes video chat fully seamless between two users, without Parse intervention. Huh..the mammoth has been laid to rest, but there is still life in it. We already covered session generation part. But how does the other user know about it? And when exactly Opentok takes the charge to start the exciting video? You need to poll the database for a session destined to you (logged on user) – that is – search for an ActiveSessions record where current user is listed as receiver. You also need to signal interruptions while a session is ON – that is, inform the caller gracefully that the receiver is busy on another call. For simplicity’s sake, we aren’t handling multi-user calls (conference) right now, although it can be handled quite easily. Recall that in alertView:(UIAlertView *)alertView clickedButtonAtIndex, we saw a call to [appDelegate fireListeningTimer],and now it is time to expand it, because it accomplishes our first task of the three listed above: It fires a timer that continually polls Parse.com ActiveSessions table for calls destined to current user. As it is named, [ParseHelper pollParseForActiveSessions] will poll ActiveSessions table for sessions calling out to this user – that is, rows which have receiverID = currently logged on user’s object ID. //poll parse ActiveSessions object for incoming calls. //done with backend object, remove it. The method is quite self-explanatory – whenever it finds an ActiveSessions object, it just copies all the fields it needs – sessionID, publisherToken, and subscriberToken into app delegate’s properties. Once done, it deletes it from Parse.com backend using [self deleteActiveSession] call. [self setPollingTimer:NO] is to keep things in sync: it ensures that timer doesn’t fire up another polling query through pollParseForActiveSessions after an object has been found and deletion is in progress using [self deleteActiveSession]. //lets differ saving title till we have the location. //pass blank because call has arrived, no need for receiverID. didCallArrive fires in response to kIncomingCallNotification, and all it does it empty the m_receiverID to indicate that call is destined to self – an incoming call. This, as we already saw in prepareForSegue – is enough to signal LSStreamingViewController that call is supposed to be handled as incoming call – so no new ActiveSessions object need to be stored. All that is left is to utilize the sessionID and token values to connect to Tokbox streaming server. So far, we discussed both cases – in both we obtained sessionID, publisherToken and subscriberToken into our app’s delegate. We finally passed the control over to LSStreamingViewController. In case of an outgoing call, [LSStreamingViewController sessionSaved] function calls [LSStreamingViewController connectWithSubscriberToken]. In case of incoming call, as we already saw in [LSStreamingViewController viewDidAppear], a call is made to [LSStreamingViewController connectWithPublisherToken]. The only difference between two of them is the token they use – and Opentok isn’t quite clear about what changes if you use one token instead of the other (publisher token or subscriber token – as you remember it is generated from cloud code in beforeSave trigger). Irrespective of which one you use to connect to a session, it allows you to publish your stream (your camera feed) as well as subscribe to other user’s stream. Once [_session connectWithApiKey] call is made, Opentok takes over. All you need to remember is that your streaming view controller (LSStreamingViewController) must implement these protocols: OTSessionDelegate, OTSubscriberDelegate, OTPublisherDelegate. See the activity flow diagram up again – there, iOS app initiated actions are listed in yellow, and delegates are marked in green. These delegate functions are part of these three protocols that LSStreamingViewController must implement. As they are called by Opentok along the flow, you need to take various actions to make that enticing video available to your user. SDK is designed such that without this, you never get to see your own feed. And no, any indirect method (e.g. addSubView to a container view) to set the frame doesn’t work. At the same time you can decorate your publisher view. For example, we have changed features like border color and corner radius. //fill up entire screen except navbar. subscriberDidConnectToStream delegate allows you to configure your own subscriber view. Again, setFrame statement is crucial and if you don’t include it or do it with wrong values, you may never get to see other user’s feed – something that can break your (and your friends’) heart! Again, you can do your own UI modifications such as reporting the current status (using _statusLabel) and decorating the subscriber view inside the same delegate. There are plenty of other delegates that Opentok sdk provides that you can use to include various features to smarten your app. By the way, who is that insane soul screaming in the publisher view? LiveSessions isn’t that smart – what it shows there is what your iPhone’s camera sees! And yeah, if you didn’t notice, the sleeping beast is an elephant, not a mammoth. Mammoths existed only in ice age. So is this real? Who knows, it’s just virtual. But so are nerds trolling in chat rooms. All we need now is to discard the remnants to smoother the flow of our iPhone video chat – let’s do them in one go. As a VOIP app, LiveSessions must either keep running in the background or do its part of cleanup as soon as it enters background. To preserve simplicity, I chose later. There are some rules laid by Apple to perform any task in background – be it trivial or not. Within LSAppDelegate.m, we cleanup our back end following those rules. // Do the work associated with the task, preferably in chunks. 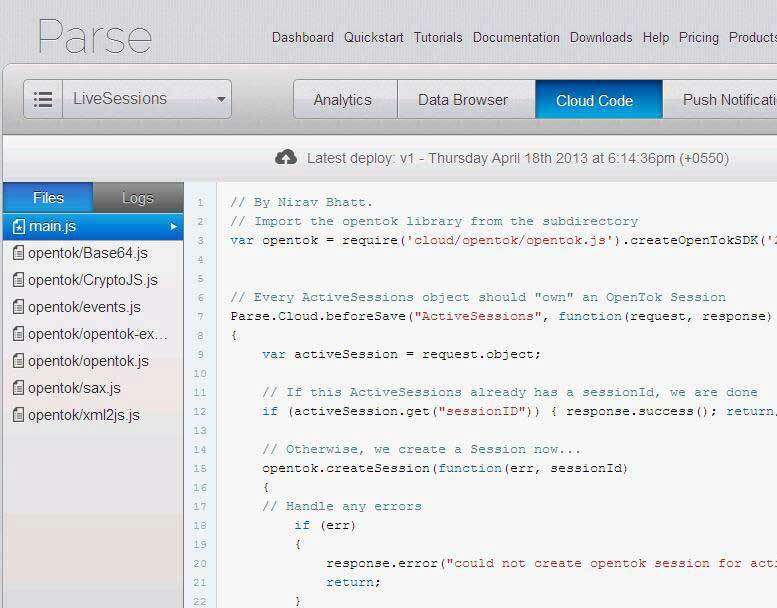 Both delete functions do what is expected – they delete ActiveUsers and ActiveSessions object from Parse.com database. There is nothing unusual that they do. objectsUnderDeletion array is our way of keeping things in sync: when Parse.com is busy deleting stuff in background, it prevents our app from repeatedly firing delete commands. This tutorial and the code that comes with can serve as bare backbone to your next cutting edge messenger App. You can do your own customizations for Parse user management or UI layout and create your next killer iphone video chat app.